This was a liver shot buck. 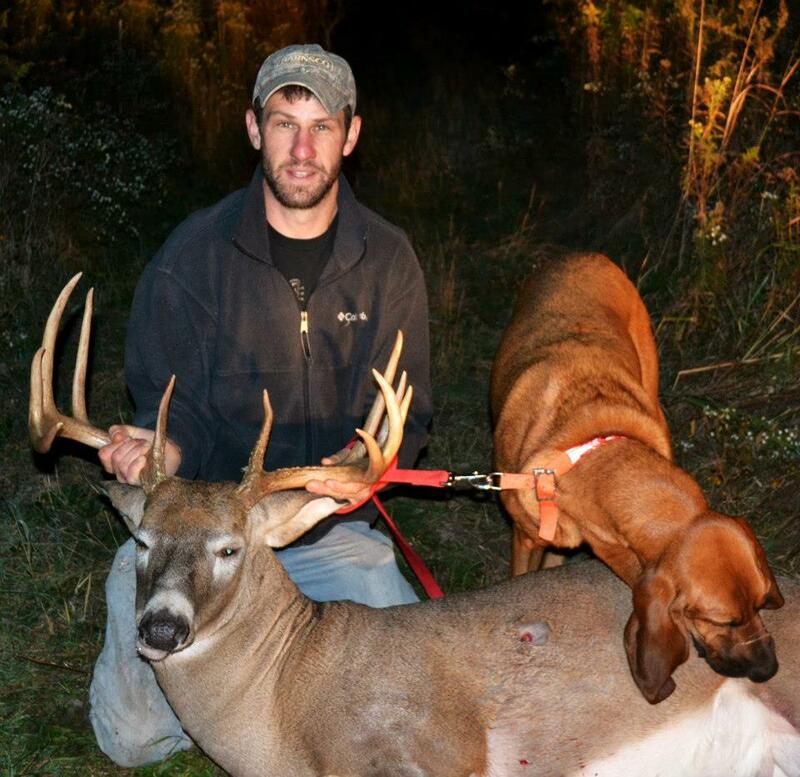 Rob and scout started tracking this buck 14 hours after the hunter made his shot. The buck was slightly angling forward and his arrows entered at the last rib bone. Once the buck was hit he just walked off and was slightly zig zagging as he walked. The hunter watched the buck walk for nearly 400 yards. He waited six hours and he made it about 100 yards farther and at that point lost the blood trail. Him and his brothers grid search prospecting areas with no luck. 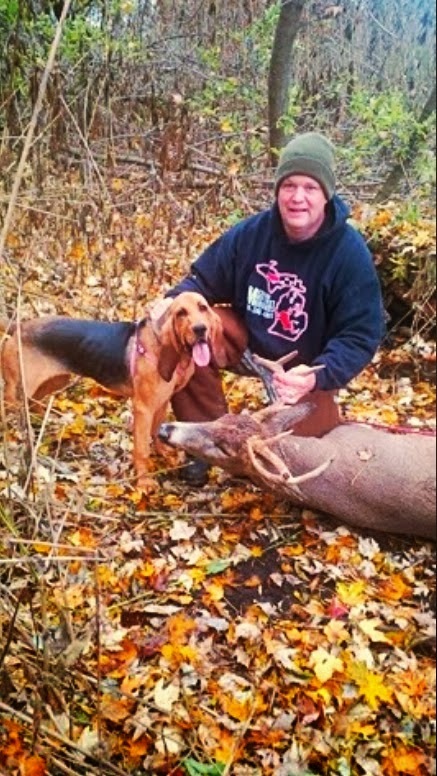 Scout had no real issues finding the buck. 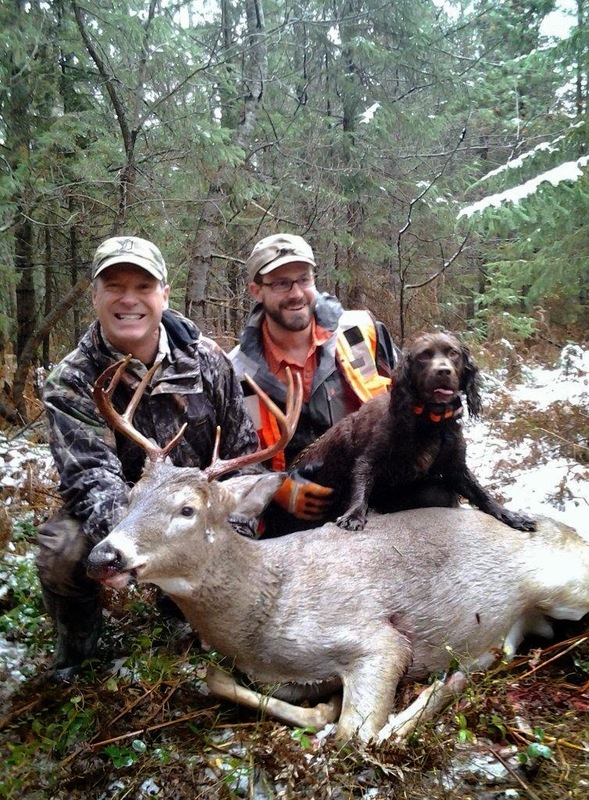 He struggled in a small grove of pine trees and once he worked that out he found the buck "still alive". After we were done tracking I learned that the buck may have doubled back in the pine forest causing some issues.